Former Manchester United and current Sunderland player Paddy McNair has revealed in an interview that it was not a difficult decision for him to leave the Old Trafford club. 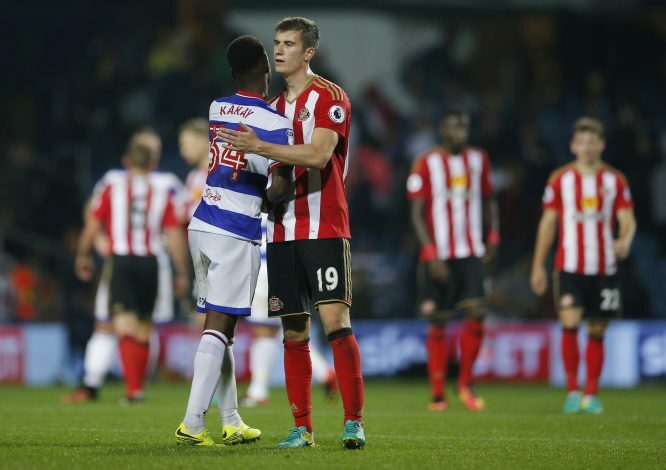 Paddy McNair was given his senior team debut by former Manchester United manager Louis Van Gaal. The Northern Ireland international managed to feature in 24 games for United since then. He joined Sunderland earlier this season, with the transfer fee reported to be around £5m. In a recent interview, McNair revealed that Manchester United manager José Mourinho wanted him to go out on loan, but he decided to leave the club on a permanent deal. “I went on the preseason tour and after I spoke to Mourinho and he said to me he would like me to go out on loan,” McNair said. “I had a think about it when I was out on the preseason tour and even a little bit when I was at the Euros, I never wanted to go on loan. I was adamant I wanted to go on a permanent move. I spoke to Mourinho for a couple of weeks and basically persuaded him to let me go on a permanent deal. The 21-year-old played across the back line for United last season, but has insisted that he is not a defender. “I’m not a defender; I’ve never been a defender,” McNair said.